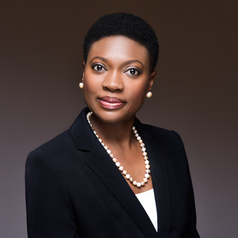 Dr Iwa Salami is a senior lecturer in commercial law and financial law and regulation at the Royal Docks School of Business and Law, where she is also Research Degrees Leader. She has also lectured at Queen Mary, University of London. Prior to joining the University of East London she was a research fellow at the Centre for Commercial Law Studies at Queen Mary, University of London where she now currently serves as external examiner on the Banking and Finance Law Programmes. Iwa is also a visiting lecturer at the University of Westminster Business School. She has previously worked in the UK and abroad including the Government Legal Service and the African Development Bank. Iwa has published widely in the field of financial law and economic integration in emerging economies. She is currently working on financial technology (fintech) regulation in Africa and other emerging markets, where she is assessing the benefits and implications of mobile payments and cryptocurrencies. Iwa holds an LLB (Law) degree from University of Westminster, an LLM in International Business Law (Merit) from King's College, University of London and a PhD from Queen Mary, University of London.